Home - Southern Greenscapes, LLC. What if you could create more livable space at your home without tearing down walls? With the art and craft of hardscaping, you can. Southern Greenscapes has a number of ways to extend the living spaces of your home into the outdoors. 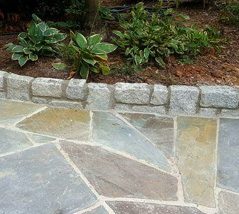 Our landscaping and hardscaping design/build firm provides the very best in craftsmanship to the Charlotte, NC area. Our landscape architects are dedicated to giving our clients the yards they’ve always dreamed of. 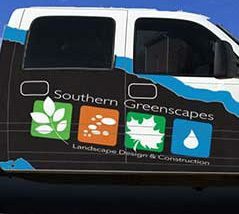 Southern Greenscapes provides expert design and construction to increase your property’s value. Our capabilities are only limited by your imagination. Hardscaping services offered include patios, outdoor fireplaces, outdoor kitchens, decks, pergolas, porches, pool houses, and everything else you need to create amazing outdoor living spaces. 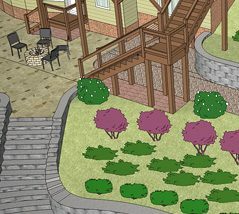 All hardscape contractors create plans but not all of them provide 3-D landscape design services. At Southern Greenscapes, we do. We use the latest technology to give you realistic renderings of your project. You’ll know exactly what you’re getting before the job starts. It’s exciting to see what will soon be created in your yard—and we’re just as excited to show you! We want to make sure you have a great experience with us. That’s why we created a six-step process to make sure every client gets the same attention to detail. 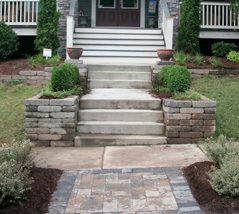 These steps are what set us apart from all other landscape companies, large and small. As ICPI-certified concrete paver installers, the Southern Greenscapes team can create gorgeous outdoor kitchens and patios that flow with the design of your home. We are also NCMA-certified in building residential and commercial retaining walls. As an environmentally conscious landscape company, we preserve the natural beauty and integrity of your property while enhancing the quality of life at your home.